Azad will be well known to many of you as colleague, teacher and examiner as well as MIS and robotics pioneer. We find out what has prompted this distinguished grandee of paediatric surgery to don a Santa costume and what he thinks of retirement. Q: Why are you running as Santa this December? 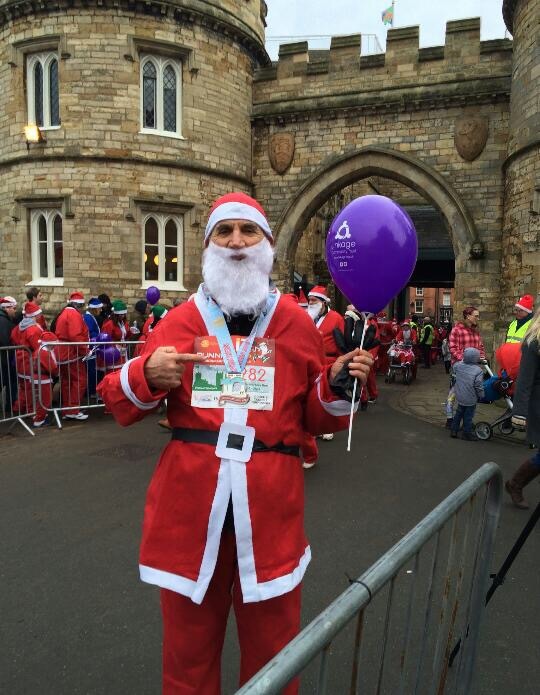 Azad: I’m running as Santa for the 4th successive year to raise money for Linkage, the charity the closest to my heart. It is a fun day for all – children, young and old as well as families and supporters at the same time showing solidarity and raising awareness for disabled members of our society. Azad: It’a fantastically festive 3.5k run/walk around Lincoln’s iconic Cathedral quarter (my daughter and I usually run the distance twice) . It is open to all ages and abilities. 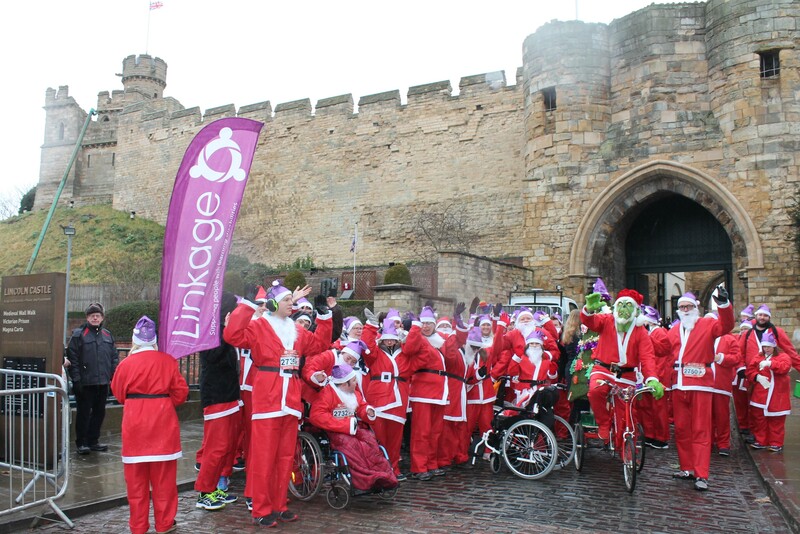 Last year there were over 130 clients, staff, parents/carers and supporters of Linkage alone. The event, usually attracts a crowd of more than 2000 runners/walkers in support of a large number of mostly national charities. Q: What does Linkage do that makes it stand out from other charities? What will Linkage do with the sponsorship income? Azad: Linkage is a registered charity which provides a high standard of care, specialist further education and employment services to enable people with learning disabilities to realise their full potential. The students and clients of Linkage are people from all over the UK with varying degrees of disability including Down’s syndrome, Asperger syndrome, Williams syndrome, Fragile X, speech and language difficulties, visual or hearing impairments, epilepsy or physical disabilities. In 2017, 63% of Linkage College graduates progressed into some form of employment or further study. Linkage care offer a range of housing options for adults aged 18 and over. In a financially challenging time for care service provisions, individual and group sponsorship can make a huge difference to many e.g once in a life time vocation or holiday opportunities; sport and other outdoor facilities/ activities for all clients; extracurricular activities including music, sport and drama for college clients and much more. Q: How can our members support Linkage? Azad: Surgeon as individuals or in small or large groups can attend Linkage’s annual fundraising events or set-up their own organised fundraising events. Linkage loves to hear from anyone ( please see Linkage Community Trust website) – I can be the liaison if needed. Q: Although you’re retired it is great you still attend BAPS and BAPES meetings. Tell us about your retirement. Azad: Yes I am struggling to adjust and am missing major surgery and the challenges of a surgeon’s life. Having said this, I can now do things which I could not much before e.g. sleep several hours and not just for a few nights, read more non-medical books, help charities, go for long fast walks or visit the gym almost every day, see more and more of this beautiful country. …and so on. And I still do and enjoy teaching, presenting and publishing.